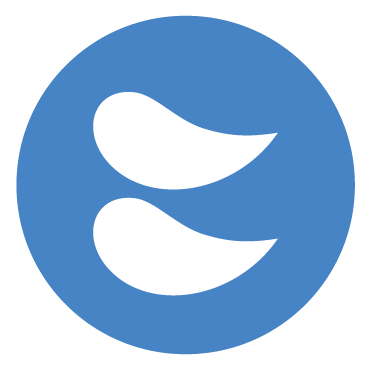 Sufficient supply air is the key to having an effective natural ventilation system. 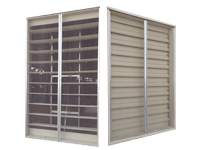 Natural Intake, through wall louvers and side-wall openings, help push the warm air through the building, and create more pleasant conditions for the building’s occupants. The Ecostream wall louver line is designed for industrial applications to naturally introduce cool, outdoor air into the facility. 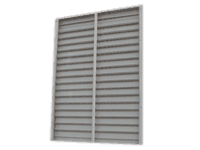 These louver blades open a full 90° for maximum airflow. The Ecostream wall louver line is designed to naturally introduce cool, outdoor air into the facility. Options include fixed or adjustable blades, drainable or non-draniable configurations, and more. 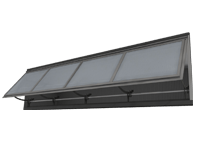 The FCO natural intake / daylighting louver is designed with translucent blades to act both as an airflow device and a daylighting device. It is normally used for air intake, but can be used as an exhaust device. 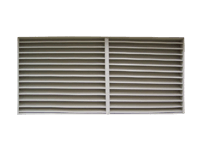 Combination louvers are used when a fixed louver is wanted on the exterior face of a facility for aesthetic purposes.